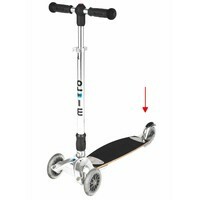 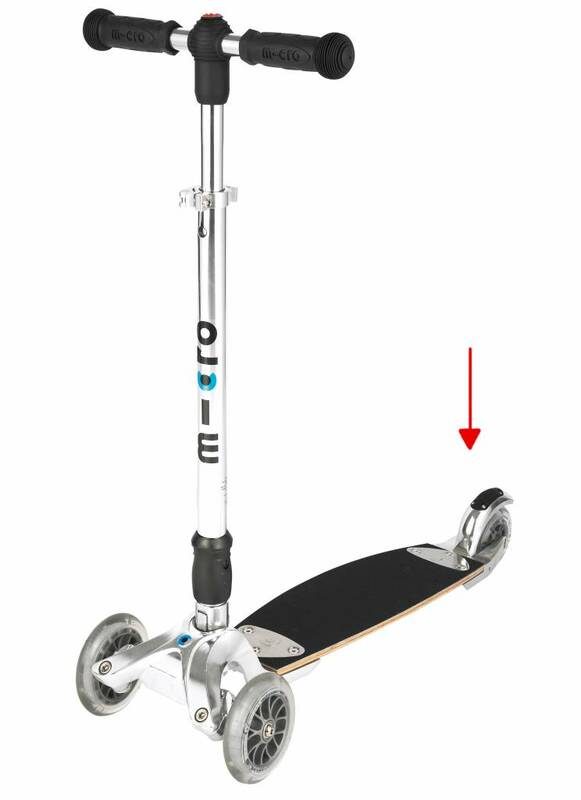 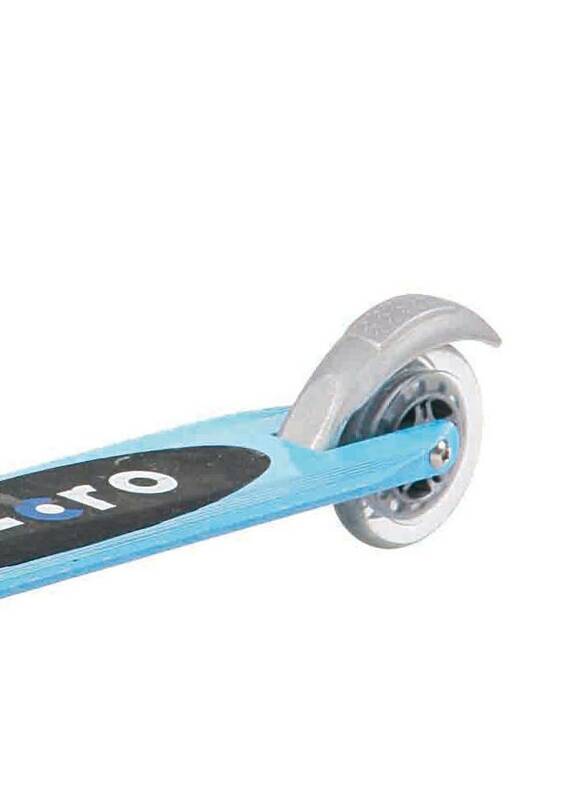 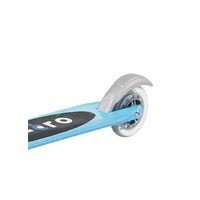 Suitable as backwheel for Micro Light, Micro Sprite and Kickboard Original. 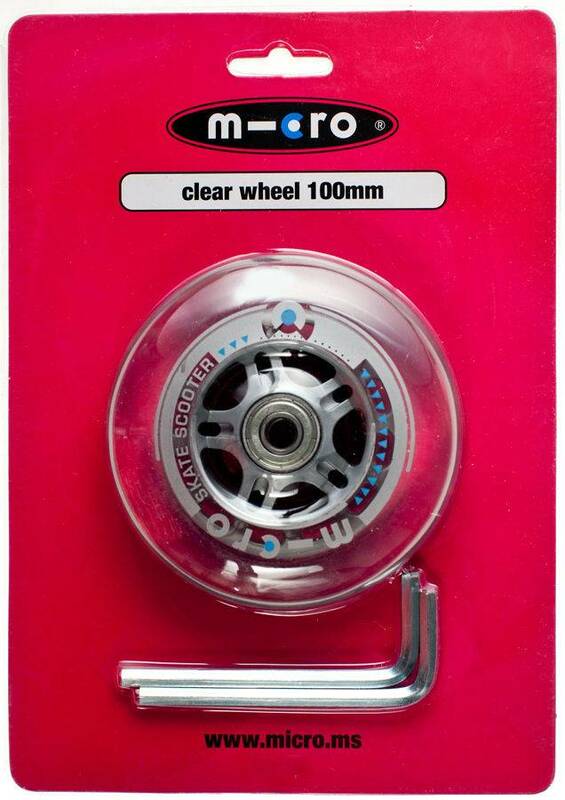 Including bearings! 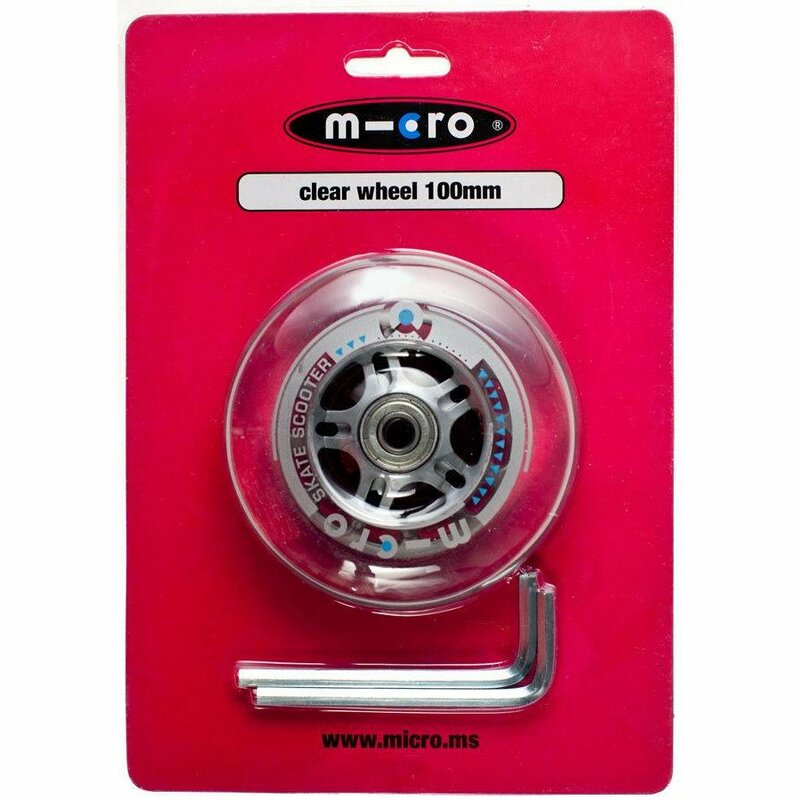 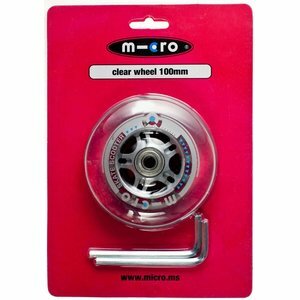 , Micro PU 82 ShoreA clear wheel 100mm.